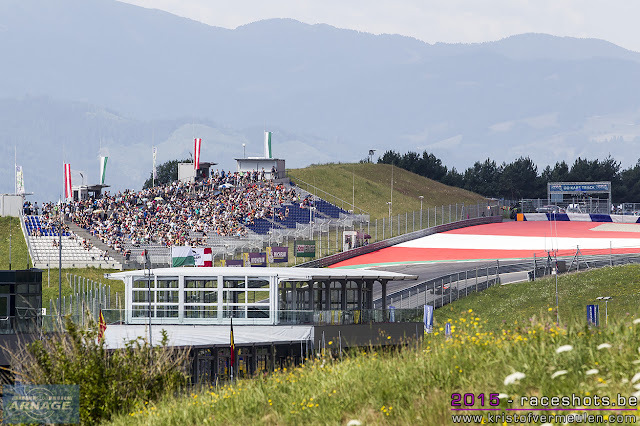 Still impressed about the great race we had at Austria last week, let's take a look at the impressive Red Bull Ring. Maybe a bit of a hidden gem, but certainly worth a visit to see some good racing, and some of the best infrastructures to be found. 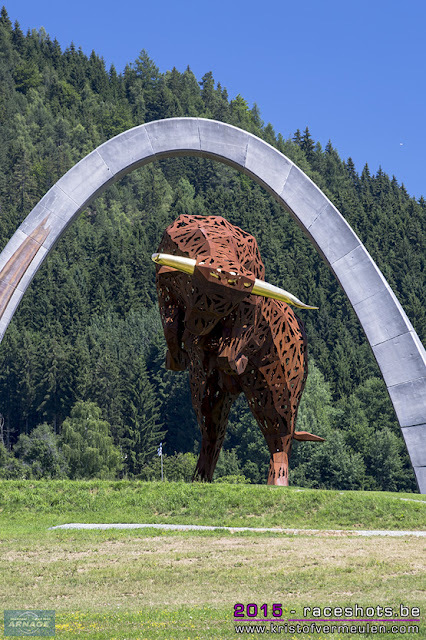 The Red Bull Ring, formerly known as the Österreichring and the A1-Ring is situated in the Styrian mountains in the Murtal region. 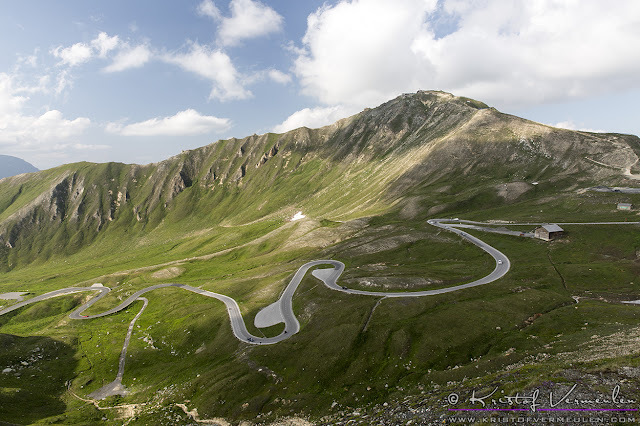 Built in 1969 as the Österreichring, the original track had a length of 5,911 km. 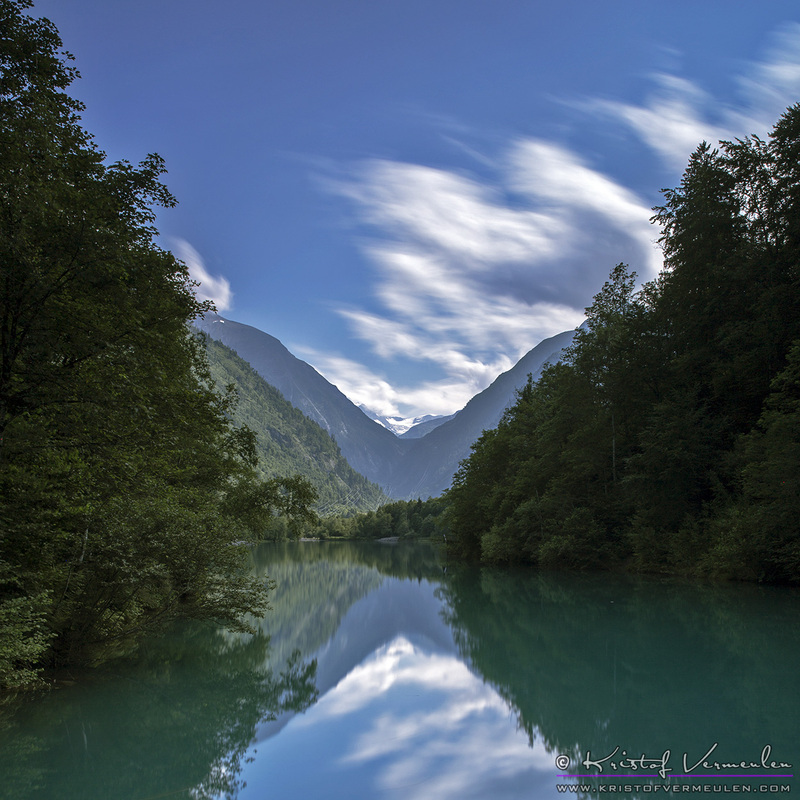 In 1996 the track was redisigned by Herman Tillke and shortened to 4,236 km. 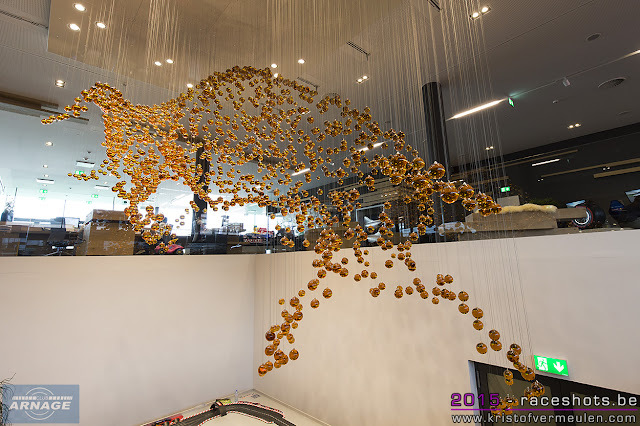 After these adaptations, it hosted F1 again from 1997 'till 2003. 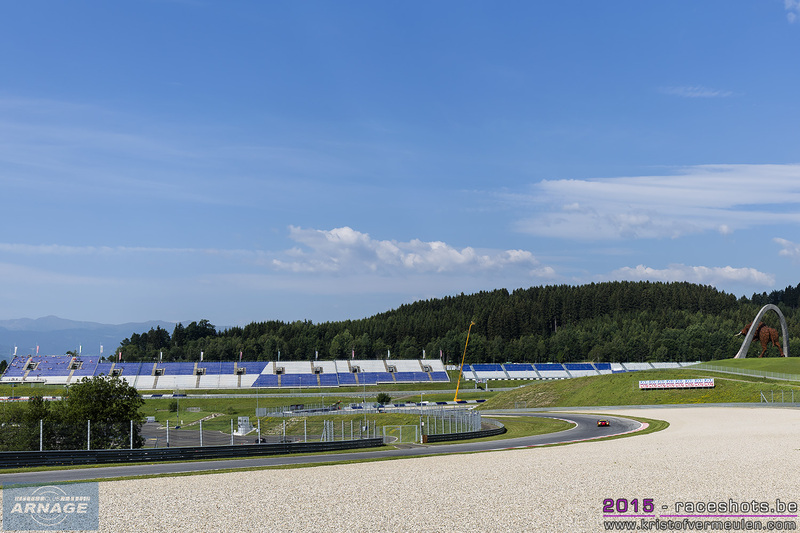 When Red Bull bought the track in 2008, reconstruction of the paddock area and grandstands started. Starting with a DTM race in 2011, the now renamed Red Bull Ring hosted a Formula 1 grand prix again in 2014. ELMS has raced here since 2013 and payed its third visit to the track. 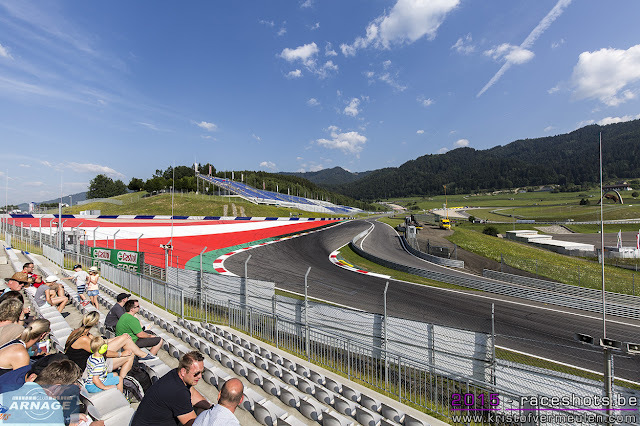 The track literally runs up and down a hill which gives the spectators amazing views from almost anywhere on the track. Even for us, your humble servants, the new media centre gives us a superb view over the pitlane and track. In the end, it's all about "the Bull"
An amazing track and infrastructure, hot summer weather, 29 cars on the grid ... everything was set for a great race on Sunday, and what a race we got ! 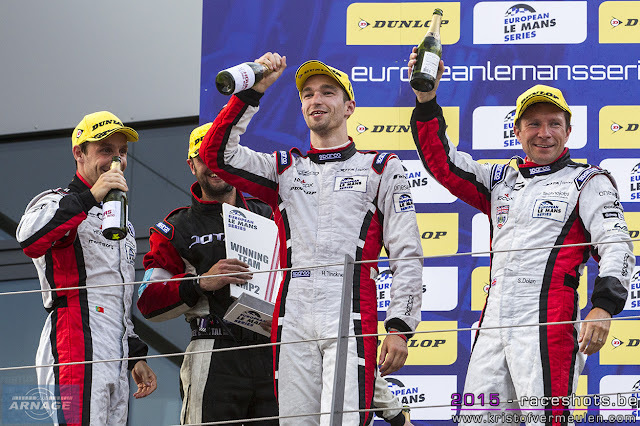 Third race of the season, third winning car and team and an exciting race with no less than 5 safety car periods. 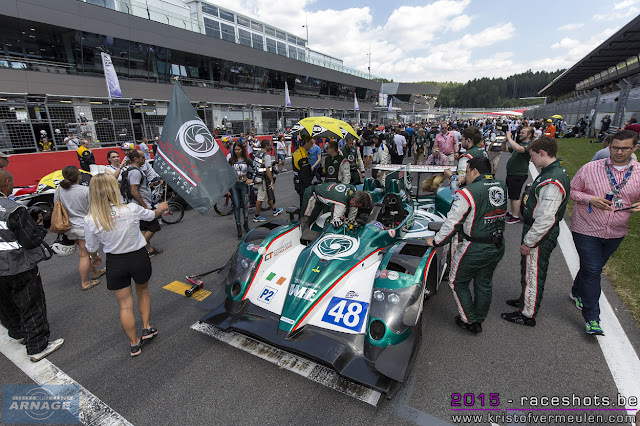 Jota Sport and their "Mighty 38" clinched a well deserved victory at the even so mighty Red Bull Ring in front of more than 12,000 spectators. Qualifying was upset with the crash of Gary Hirsch in the Greaves Motorsport Gibson/Nissan. At first it seemed the Gibson had substantial damage, but the mechanics managed to get the car up built up and competitive again by the start of the race. 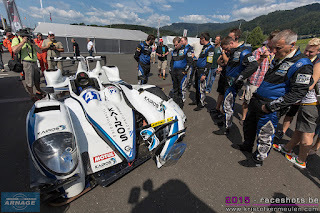 Harry Tincknell claimed pole position in the Jota Gibson/Nissan, ahead of the #50 Murphy Prototypes Oreca/Nissan and the surprisingly fast #37 SMP Racing BR01/Nissan. 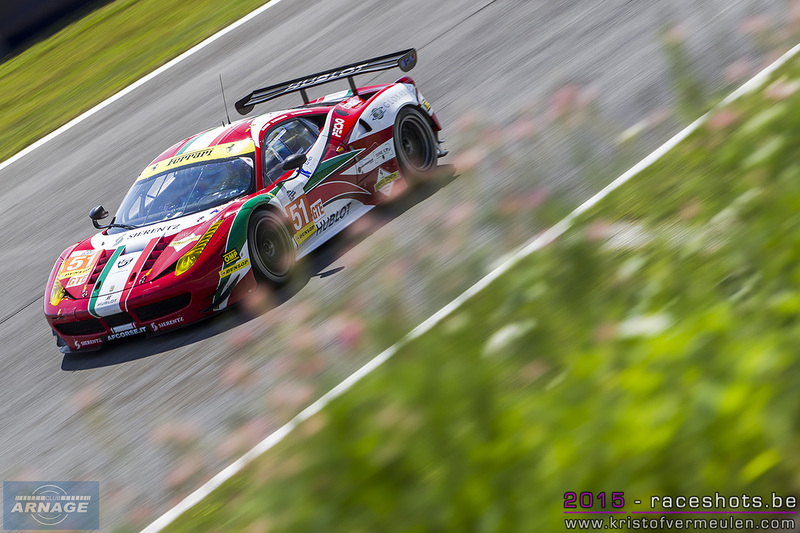 AF Corse took the honours in GTE with Matt Griffin putting the #55 Ferrari on pole ahead of the #51 AF Corse and #60 Formula Racing Ferrari. Charlie Robertson was - as expected - fastest in LMP3, in GTC AF Corse again took the first 2 spots on the grid with #62 and #63 ahead of Thiriet's BMW Z4. Filipe Albuquerque took a strong start from pole position and was able to build up a good lead, but when the safety car came out after a few laps, he had to do it all over again. Albuquerque got a strong lead again, but another safety car made all his efforts worthless for the second time. 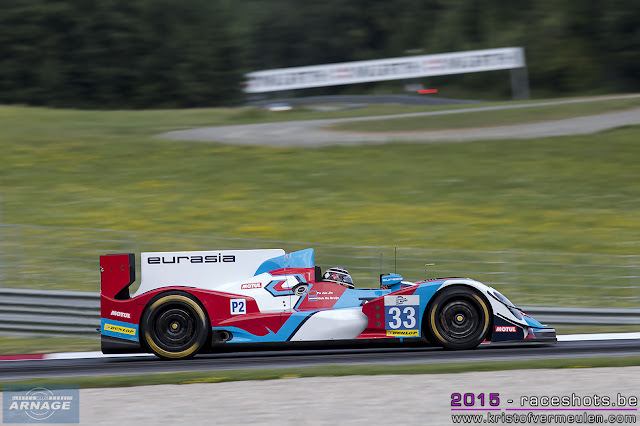 In the meantime, the Eurasia squad in the Oreca 03/Nissan managed to keep up with the pace of the frontrunners and even got briefly into the lead due to a different strategy during the safety car periods. Behind the leader, the #46 Oreca 05/Nissan from Thiriet by TDS became the biggest challenger for Simon Dolan and his crew. Unfortunately for them, a problem with their last pitstop and Gommendy charging through the red light at the pit exit during the last safety car period cost them a penalty. 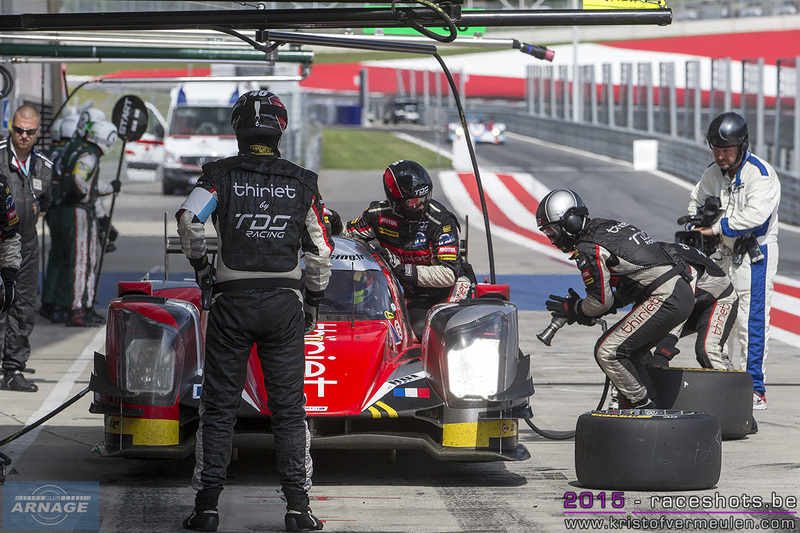 Despite all that, the Oreca 05 came out of the pitlane less than 2 seconds behind, but Harry Tincknell kept his cool and gave the Jota Sport team their first ELMS victory of the season. 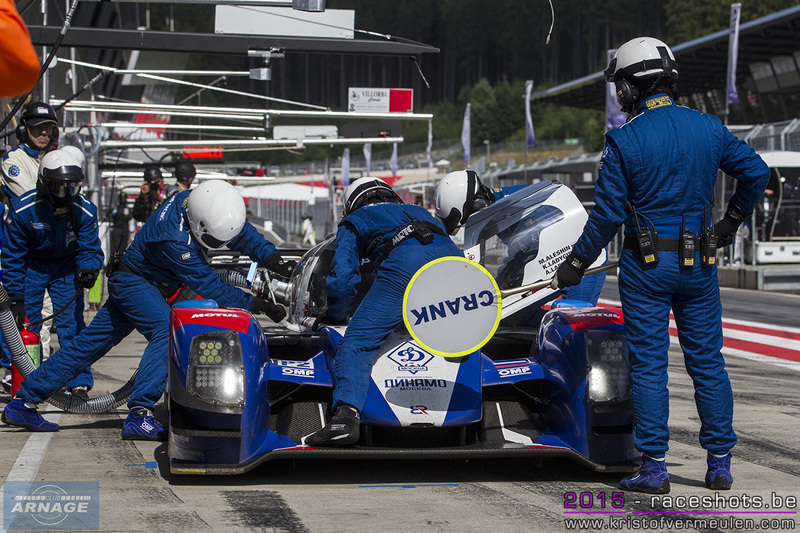 After 4 hours the #37 SMP Racing BR01/Nissan driven by Mikhail Aleshin and Anton & Kiriil Ladygin took the third step of the podium, 1 lap behind the leaders. 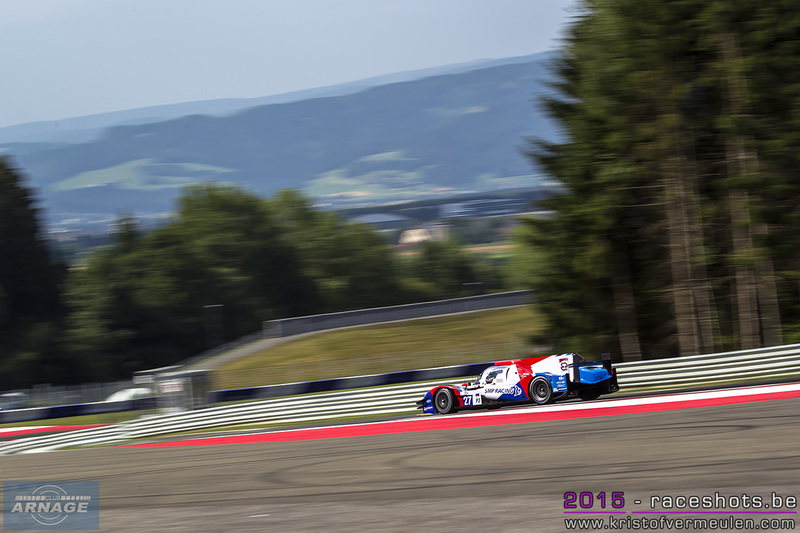 In only its third race, SMP managed to get a podium in the all new BR01, which felt like a truly well deserved victory for the team. They battled it out with the unfortunate Greaves Motorsport who suffered several penalties which put them out of contention for a podium finish. Bad luck for the SMP Racing team too, when the second BR01 in the hands of David Markozov went hard into the barriers right before turn 1 with 1h15' to go. The Greaves Gibson made it home in 4th, only 3.1 seconds behind the BR01. Tracy Krohn's bright green Ligier/Judd raced itself to fifth after an uneventful race. Murphy's men came in sixth after holding on to third position for quite some time, but losing out after a collision with a GTE car. 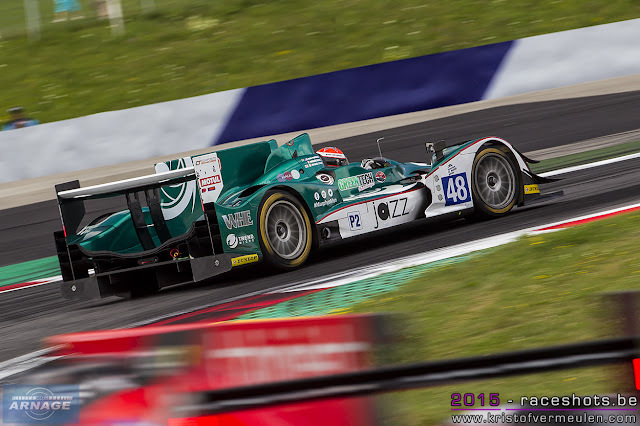 On their first race in ELMS, the Portuguese Algarve Pro Racing team managed to get their Ligier/Nissan to the finish line in 15th place overall, despite some unexpected problems during the race. 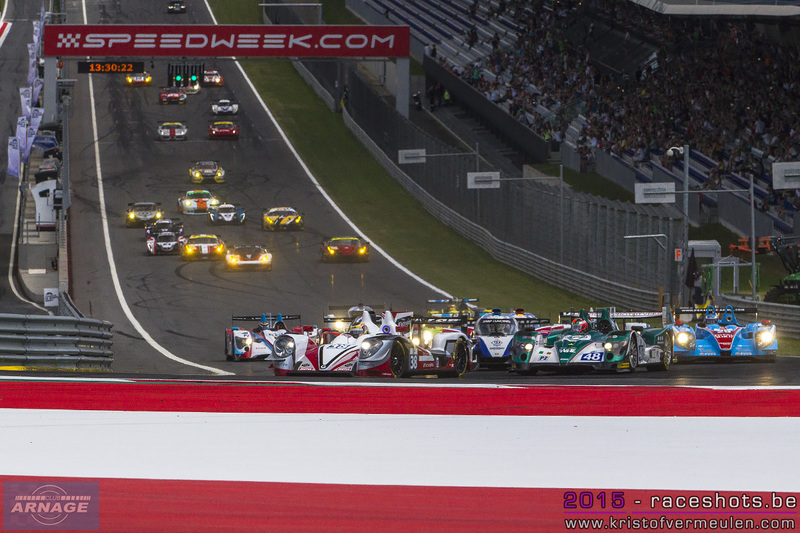 Not only LMP2 put up a mouthwatering spectacle, GTE gave us tension from the beginning to the end. The Ferrari's were all over the place in Spielberg with Formula Racing, 2 AF Corse's and JMW battling it out on the very limit. The latter eventually fell off the leading group after a penalty. 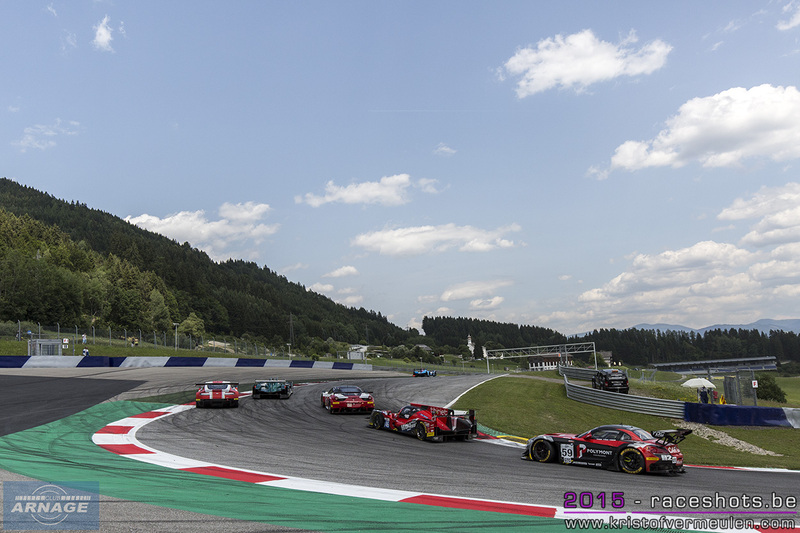 Matt Griffin rushed his way through the field in the #55 AF Corse after having to start at the back of the grid, getting into an extremely close battle with the #60 Formula Racing Ferrari 458 and the #51 AF Corse. 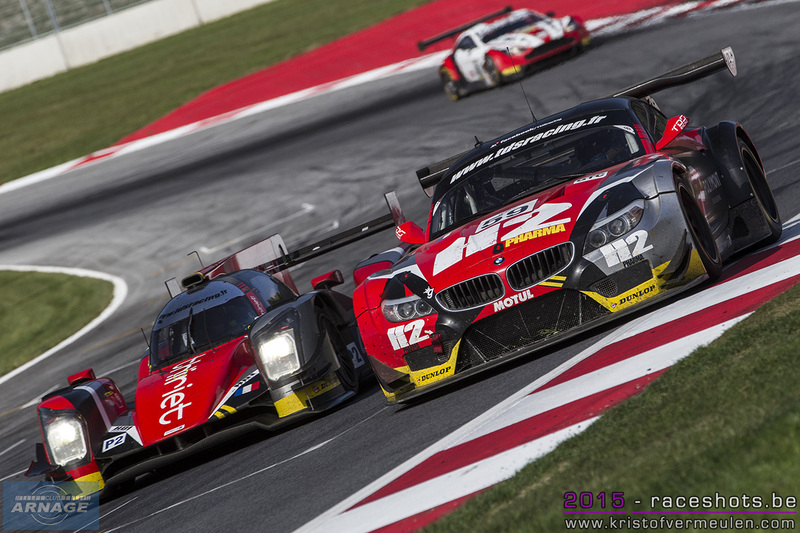 During the whole race, it was a nailbiting spectacle with all 3 cars just seconds apart. At the final stage of the race, it seemed like Griffin had the top spot of the podium within his reach, but when the Thiriet Oreca 05 spinned in front of him in the last lap, Mikkel Mac made an epic move to take over the lead and score a great victory for the Formula Racing team. 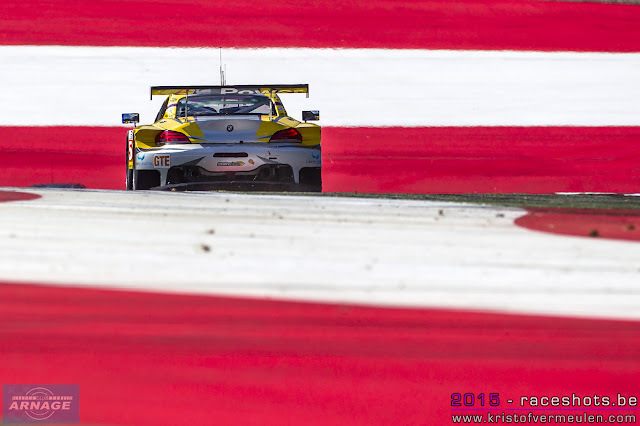 With electrical problems all Saturday, the Marc VDS BMW Z4 came in fourth (again), despite their troubles only 13 seconds behind the #51 Ferrari. 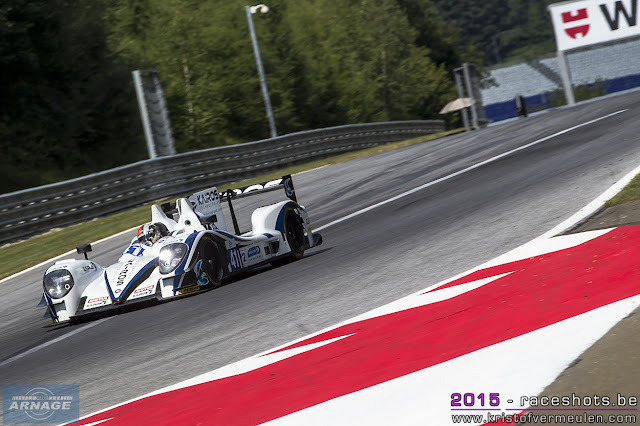 In LMP3 Sir Chris Hoy and Charlie Robertson took their second victory after their unsuccesful race in Imola. 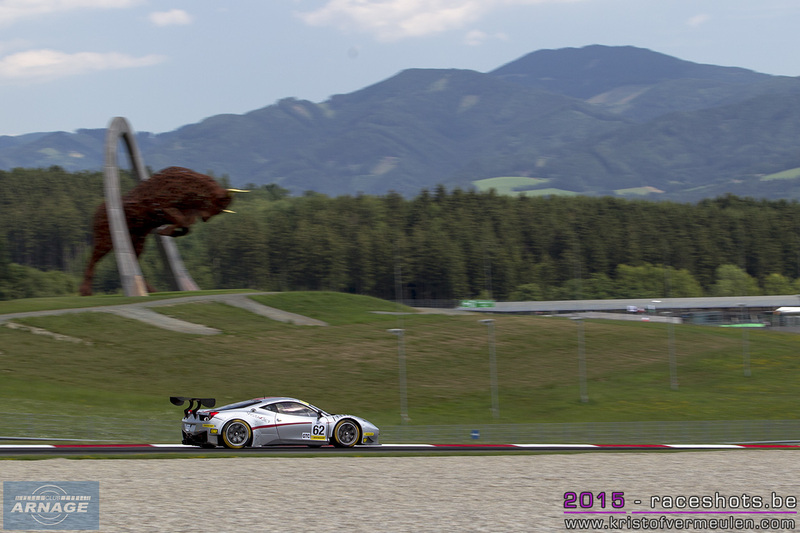 Robertson drove a very strong opening stint, putting him into the top 10 and well into the mix of the GTE cars. After a faultless double stint by Chris Hoy, Robertson just had to drive home to secure a dominant win. 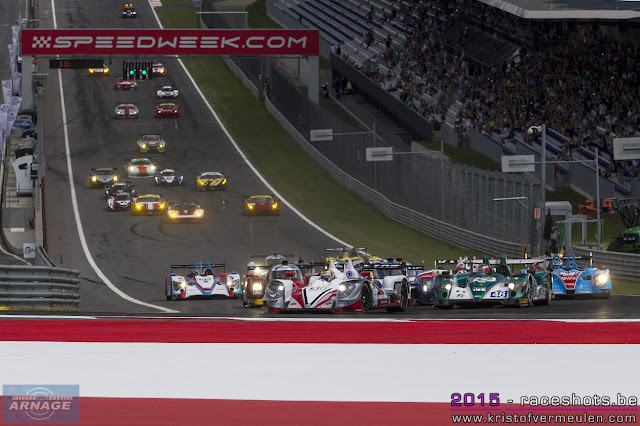 All the other LMP3's had their problems during the race. 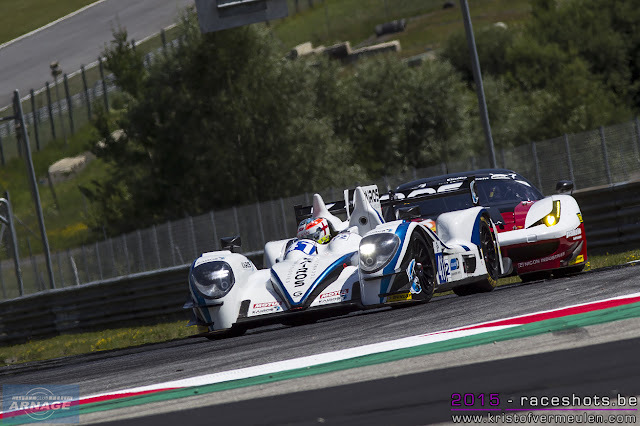 The #5 Villorba Corse came in second, before the second LNT prototype, 22 laps behind the leader. 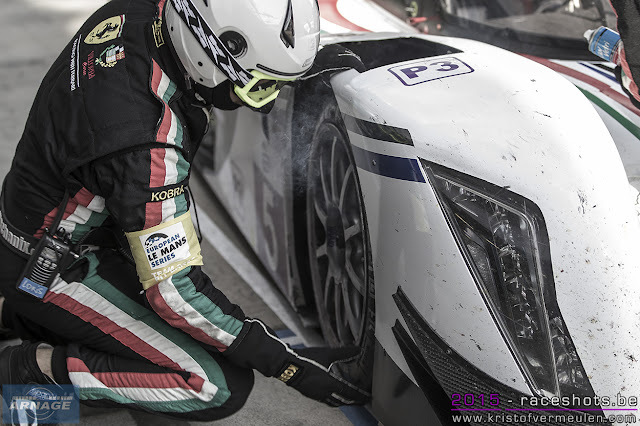 The #15 SVK by Speed Factory had to retire after several contacts and losing some of its bodywork. GTC saw the #59 Thiriet by TDS BMW Z4 leading the class, untill he ended up in the gravel trap at turn 3 right after a safety car period. This saw the #62 AF Corse taking the lead, comfortably building it up to a 2 lap gap at the end of the race. 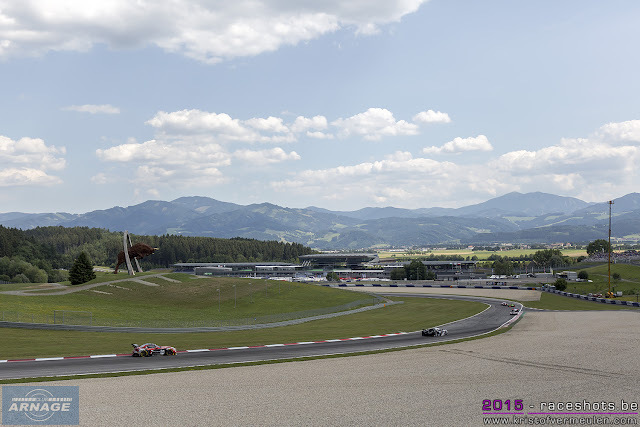 With the checkered flag in sight, the #68 Massive Motorsport Aston Martin with Kristian Poulsen at the wheel came in charging hard to the BMW, but Franck Perrara ultimately managed to keep track position to come in second. 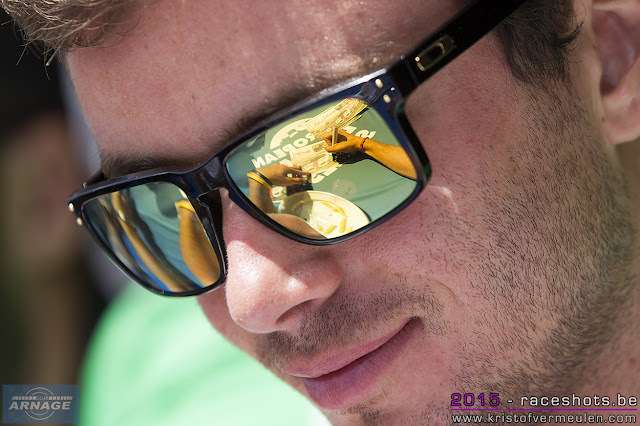 After a well deserved summer break, the next ELMS race is scheduled at Le Castellet on September 6th. With another exciting race behind us, a very competitive LMP2 field & door to door battles in the GT classes, we should be in for a thrilling weekend again. 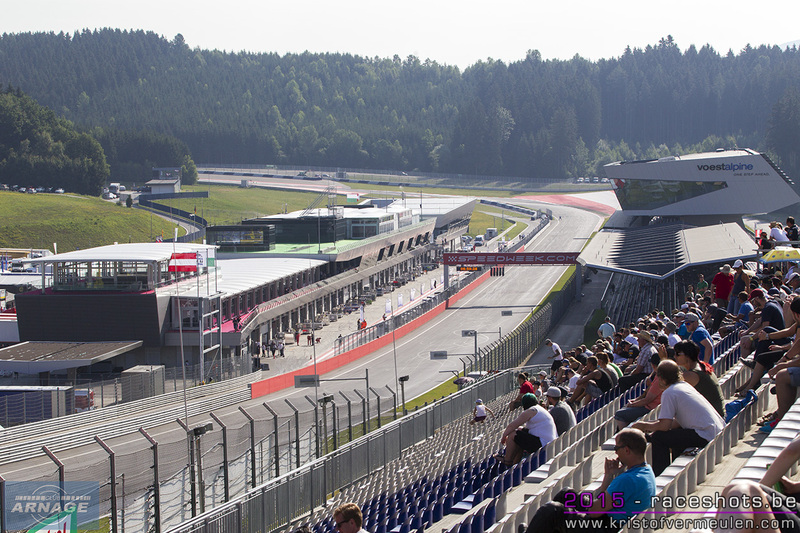 Glorious sunshine on Saturday at the Red Bull Ring, setting an almost perfect scene for both practice sessions. The first session was interrupted after 1 hour when Roberto Lacorte made contact with the turn 2 barriers in his Villorba Corsa LMP3. With sustainable damage to the back of the car, it didn't make it out to the second session, but should be ok for qualifying tomorrow. 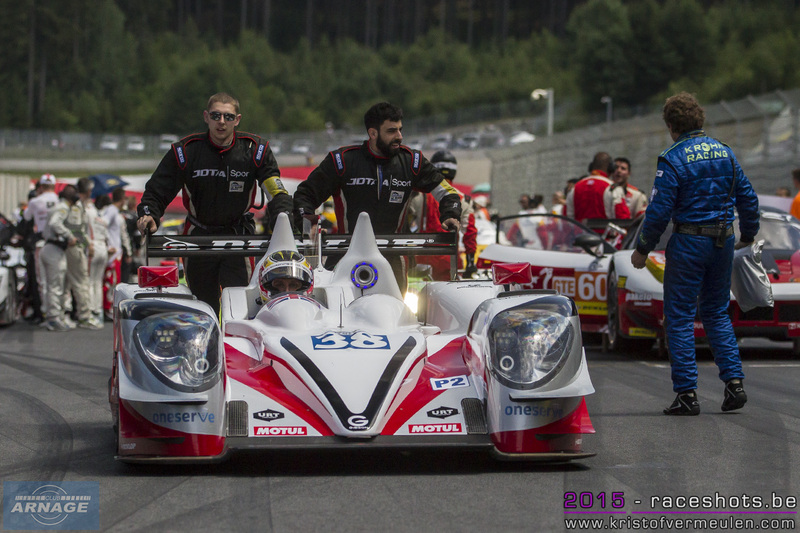 Felipe Albuquerque set the best time overall in his Jota/Gibson, beating John Lancaster in the Greaves/Gibson by half a second and Tristan Gommendy in the Thiriet Oreca 05. LMP3 was very close with Charlie Robertson in the #3 car beating SVK's #15 with 0.1 seconds and Mark Shulzhitzkiy in the Ginetta #3. 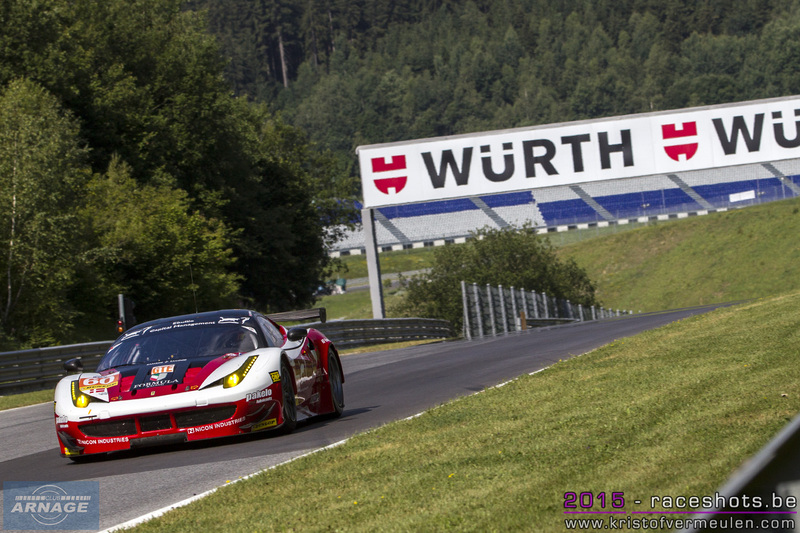 GTE was dominated by Ferrari; the AF Corse #51 claiming first place ahead of "home team" AT Racing. The Proton Porsche came out on third place, nearly 7 tenths behind the fastest Ferrari. GTC also turned out to be a close battle with less than 0.8 seconds dividing the top 3. 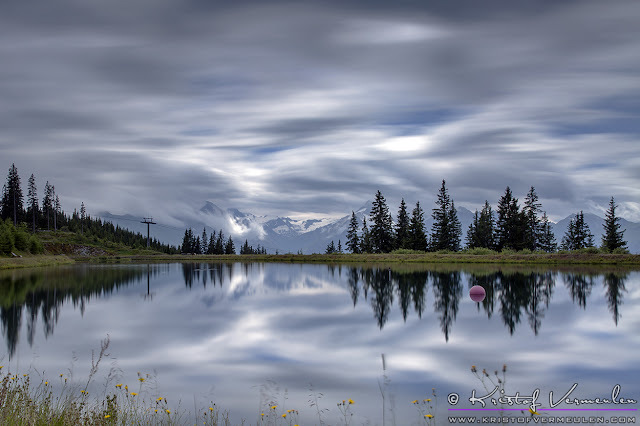 TDS claimed the fastest time in the BMW Z4, just ahead of AF Corse Ferrari's #64 and #63. More sun in the afternoon and temperatures heading onto 30 degrees, but apart from Charlie Robertson in the Ginetta LMP3 nobody seemed to be able to put in a better time than in the morning session. This time it was Tristan Gommendy in the Thiriet Oreca 05/Nissan who beat the Jota Gibson with the #37 SMP Racing BR-01 getting third fastest. Murphy Prototypes and a strong effort by Eurasia Motorsport completed the top 5. LMP3 was the only class able to improve, Charlie Robertson putting himself right behind the #55 AF Corse Ferrari who was fastest in GTE. 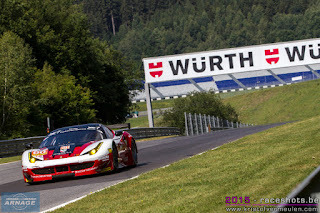 AT Racing came in second again in GTE with the #51 AF Corse making it a clean sweep for Ferrari. In GTC Ferrari got a 1-2, #62 beating #68 and the Massive Motorsport Aston Martin third fastest. Marc VDS had electrical problems during both sessions and didn't get the chance to have a decent run out. 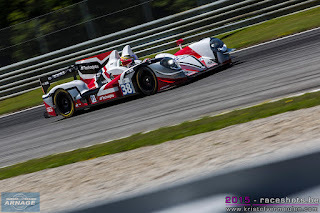 The session ended a few minutes early when Bellarosa (#45 Ibanez Oreca 03) got off at Turn 1 and caused a red flag. Ibanez racing had its problems during the whole session with the #44 car going round very slowly and stopping on track at the beginning of the session. The sister car had also its problems with a stop & go penalty, a spin and the crash at the end of the session. Late in the evening rain and a few scattered thunderstorms came in around the track. Qualifying will be dry in the morning, but there might be a chance for rain late in the race. 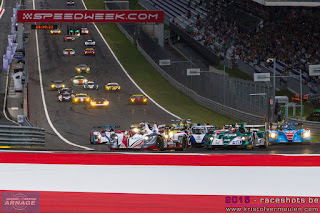 With Le Mans 4 weeks behind us, the European Le Mans Series gets ready for its third round of the 2015 season at the Red Bull Ring in Spielberg, Austria. No less than 12 LMP2's will race on Sunday, the biggest LMP2 grid so far this season. Thiriet by TDS will be eager to score a second win after their class perfomance at Imola and build up their 2-point lead in the championship over Greaves racing. SMP Racing lines up both of its BR-01 prototypes, as does Ibanez Racing with their Oreca 03-Nissans. The Algarve Pro Ligier-Nissan makes its debut in the championship. Murphy Prototypes will be on a high after their 5th place in Le Mans and their great race at Imola in May. Completing the grid will be Jota Sport, currently third, 9 points behind Thiriet, Krohn Racing (with Julien Canal replacing Ozz Negri), Pegasus Racing and Eurasia Motorsport. 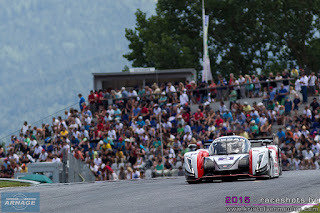 In LMP3 only four cars (all Ginetta's) will be on the grid in Austria. 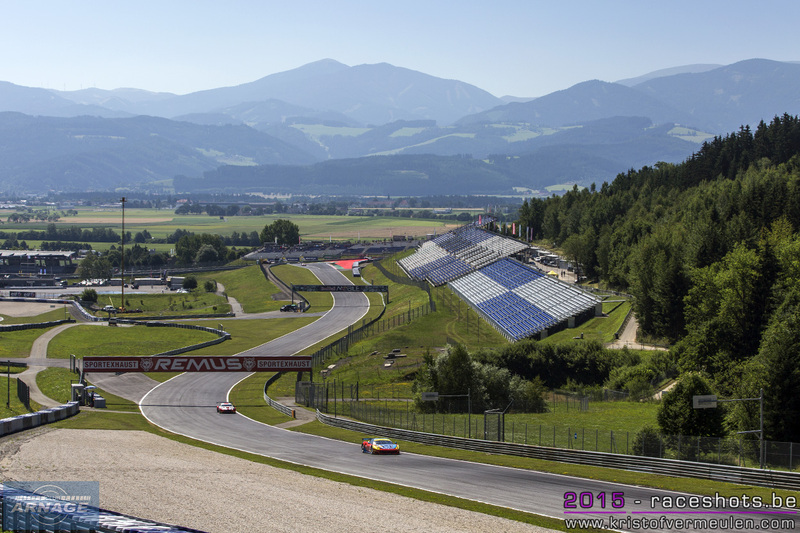 Team LNT will race 2 cars (one of them borrowed from the University of Bolton Team), Villorba Corse and SVK by Speed Factory will complete the grid. 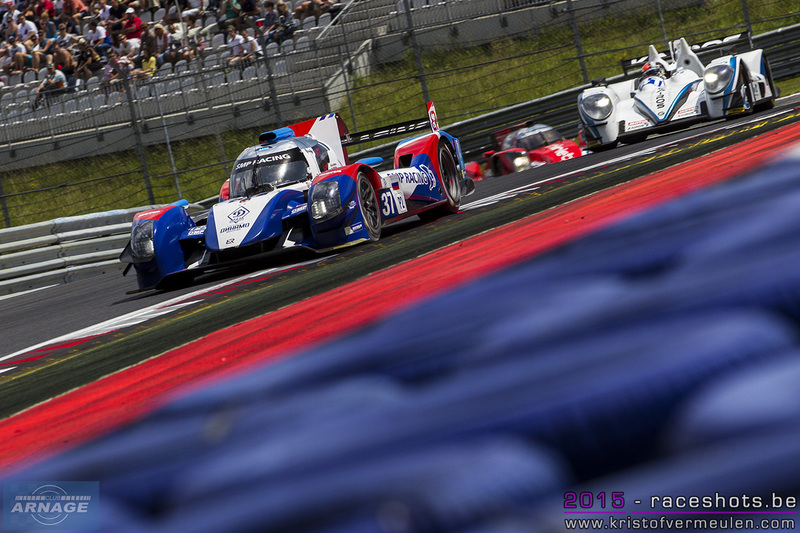 The season's two final races at Le Castellet and Estoril should have an increased grid for LMP3 with the debut of several new teams and hopefully the highly anticipated and blimingly quick Ligier JS P3 from Onroak Automotive. The paddock is buzzing with new and existing teams showing interest in LMP3, this might be a class to watch in the near future. In LMGTE and GTC there are no changes to both starting grids. 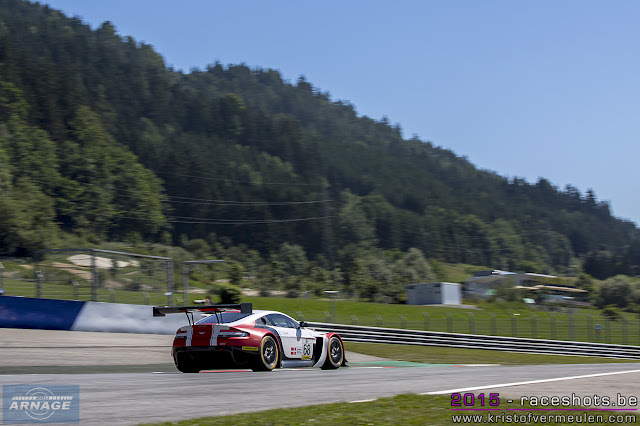 The battle in GTE will be tight again with AT Racing defending their victory in Imola over Proton Competition's Porsche RSR. Gulf Racing UK with the blue/orange 911 RSR will be ready to get on the podium again, defending their second place in the championship ! The BMW Z4 GTE by Marc VDS scored two 4th places in Silverstone and Imola, will they be able to squeeze themselves between the Ferrari and Porsches of the championship's leading teams ? GTC has a 5 car entry with the Thiriet BMW Z4 and the Massive Motorsports Aston Vantage getting a BOP with a 20 kg weight reduction. The 3 AF Corse Ferrari's will race in the same spec as the precious races. 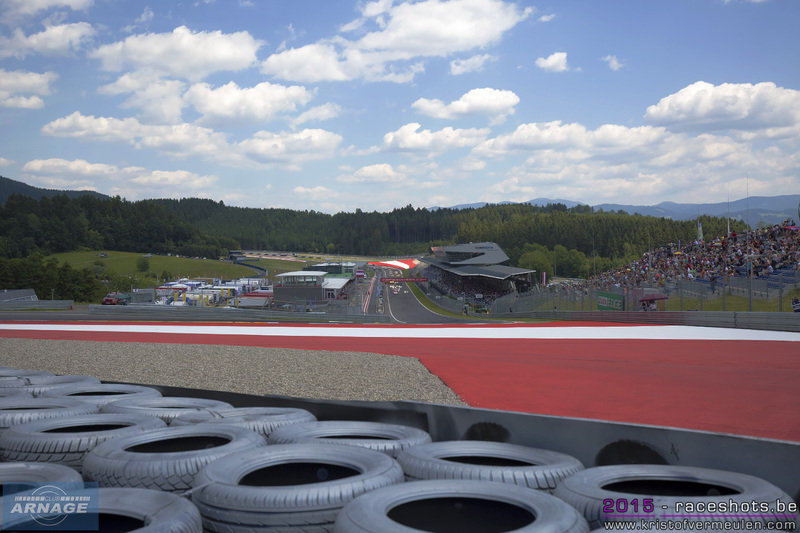 With the Formula Renault 3.5 series, 2 races in the TCR touring car championship and a Red Bull Nascar show on Sunday, this weekend will be a true festival of motorsport. Endurance racing, formula racing and touringcars in a wonderfull setting under the sun, all set for a great weekend. And above all, entrance is free for all spectators, including the grandstands, autograph session and lots of animation in the paddock. ELMS track action starts Saturday at 10.30 for the first practice session and the second one at 14h40. Qualifying is Sundaymorning, the 4 hours of the Red Bull Ring will be run Sunday afternoon at 13.30h. The race will be shown live on MotorsTV and www.europeanlemans.com.